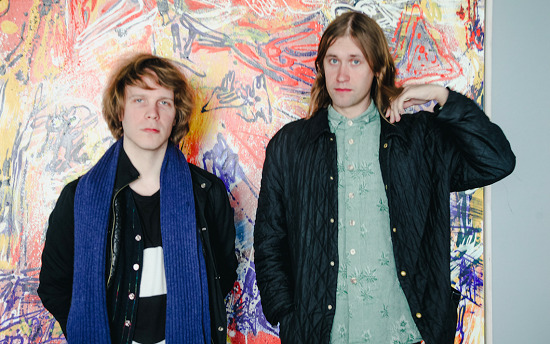 Man Duo, the project of Finnish producers Jaakko Eino Kalevi and Sami Toroi, aka Long-Sam, have released their new EP Orbit Variations via Kaya Kaya records. As well as a new track, 'Alkuräjähdys' (Finnish for 'Big Bang'), the EP consists of remixes and re-interpretations of material from Man Duo's acclaimed 2017 LP Orbit. Among those enlisted for the new EP are Lung Dart, the two-piece behind 2016's gorgeous As I Lay Drying. Above, you can watch the video for their 'Hydration Treatment' of Man Duo's 'What If It Falls', stretching and remoulding the original into serene and dreamy new climes. The video, which premieres exclusively via tQ above, was shot and edited by the London-based director Karolina Paczkowska and was filmed at a midsummer party at Gagnef Festival in the middle of Sweden last year. Also on Orbit Variations the likes of Reckonwrong, Ali Renault, Vanessa Anne Redd, and Luke Eargoggle all contribute re-workings of Man Duo's material. The full EP is available to listen to now.